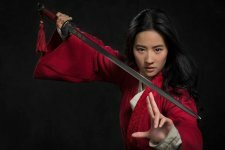 Walt Disney Pictures plans a worldwide casting search for the lead Chinese actress for the role (Deadline.com, 10/5/16). "Rick Jaffa and Amanda Silver (Jurassic World, Dawn Of The Planet Of The Apes, and the upcoming Avatar sequel) [were bought in by Disney] to get [the script] into shooting shape" (Deadline.com, 10/5/16). Disney had initially sought an Asian director for the project, meeting with Ang Lee (who passed, citing scheduling) and Rogue One star Jiang Wen (Hollywood Reporter, 2/14/17). Hua Mulan disguises herself as a man to take her father’s army conscription in fifth-century China. Jet Li is in final talks to play the emperor of China, who orders the mobilization of troops via the conscription of one male from each household (Hollywood Reporter, 4/12/18). Gong Li is confirmed as the villain in Mulan, a powerful witch (Hollywood Reporter, 4/12/18).